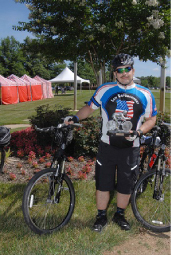 James Sprecher, President, IBPO Local 815, and a 16-year veteran of Defense Logistics Agency (DLA) police force in Fort Belvoir, VA, participated in the Law Enforcement United (LEU) “Road to Hope Memorial Bicycle Ride” a three day, 250 mile bike ride on May 10-12, 2016. The annual riding event serves as a prelude to National Police Week, bringing awareness and honors officers who have died in the line of duty. The event also raises money to ensure that their families are supported. 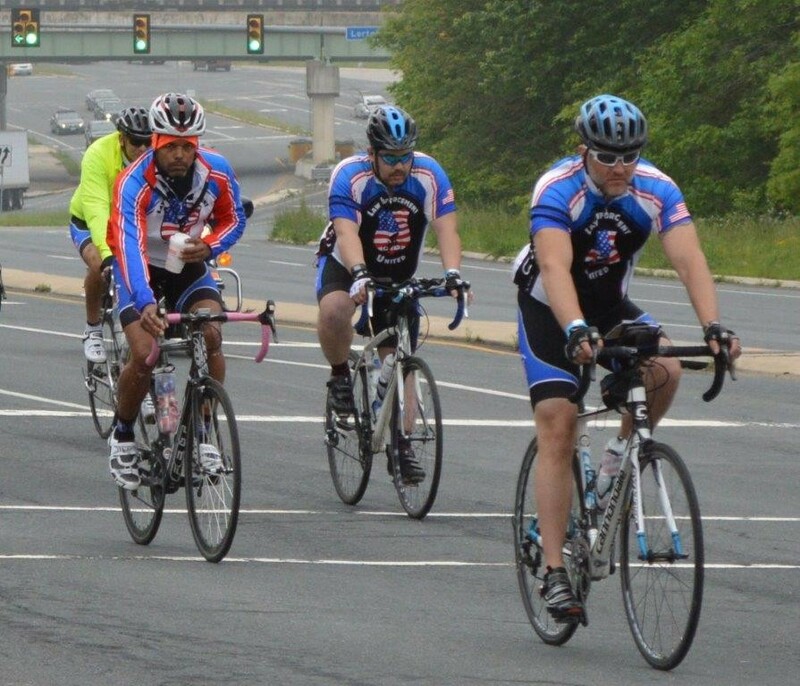 Riders began their three day journey in Chesapeake, Virginia and ended right outside the Arlington National Cemetery. Riders wore bracelets to honor of the 123 officers who lost their lives in the line of duty in 2015. President Sprecher became involved in “Road to Hope” event after attending the National Police Week candlelight vigil, where he was “moved” by all of the bike riders. He also rides in honor of his coworker, Lt. Haaf’s father, a police officer who was killed in the line of duty in 1992. After 5 years of training and preparation, this is his 2nd year participating in “Road to Hope”. When asked what he enjoys most about “Road to Hope”, President Sprecher expressed, “I like the comradery. Meeting other officers and being able to exchange stories. Meeting survivors and bringing encouragement to them.” President Sprecher is already gearing up for next year’s ride. “At the end of the candlelight vigil, I encouraged everyone in my department to participate and/or support the event next year”. Over the past 6 years, President Sprecher has participated other charity bike rides such as “Paul’s Ride for Life”, “Tour De Cure”, “Ride & Run to Remember”, and “Between the Waters”. These charity rides raise funds and awareness for organ donation, diabetes, police officer memorials, and enhancing the quality of life for citizens of the Eastern Shore and preserving natural resources. This year, the “Road to Hope” charity ride raised over $300,000. The money will be donated to help fund programs that take care of the families’ of fallen officers. For more information about LEU or the Rode to Hope Memorial Bicycle Ride, visit the LEU’S website. IBPO Local 815 President Sprecher on 250 mile bike ride.